Investment managers must meet increasingly rigorous requirements for risk-related reporting and increased transparency from regulators and investors. Portfolio managers and analysts depend on a clear understanding of risk factors in order to produce consistent risk-adjusted returns and identify new investment opportunities while compliance officers and senior management require an enterprise-wide view of risk. Many firms are challenged by disparate risk and compliance systems, inaccurate, or missing data feeds, and an overreliance on spreadsheets to analyze and monitor risk. This creates inconsistent risk assessments across the front and middle office that can result in regulatory sanctions and subpar investment returns. The Charles River Investment Management Solution (Charles River IMS) provides buy-side investment managers with a complete view of portfolio, market, and sector risk as an integral part of their investment processes and workflows. Portfolio managers can analyze, manage, and monitor risk across the entire investment lifecycle from a single platform. 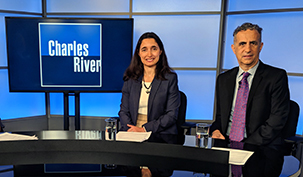 Charles River’s best-practice risk management and compliance workflows help firms comply with the latest industry regulations and provide their investors with detailed visibility into investment decisions. 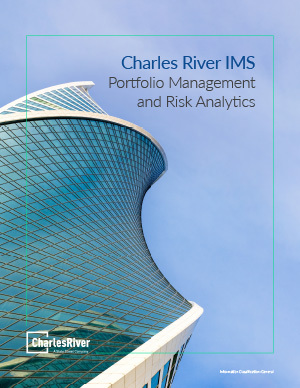 Delivered as a service with integrated reference, position and pricing data, Charles River IMS provides a complete risk and compliance solution that includes risk measurement and management, stress testing and trend analysis, and risk and compliance monitoring. What are my active exposures to different sectors? How sensitive is my portfolio to interest rate changes? How can I hedge my credit exposure? How will my portfolio respond to adverse market moves? Will my proposed trades protect my portfolio? How are my risks changing over time? Will this trade breach my compliance rules? Am I in compliance with client guidelines? Am I within regulatory limits? 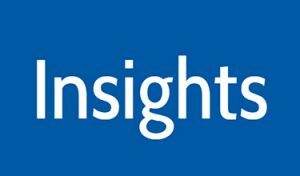 Looking for a unified Portfolio & Risk Analytics solution?